Children under seven years (<7 yrs) may use the same change room as their parent, regardless of gender. Children seven years and older (7+ yrs) are required to use the change room of their own gender. Non-members of all ages must use the change rooms located off Reception. On Saturdays and Sundays, the change rooms off Reception are designated as FAMILY change rooms and are signed accordingly. The Female Room is for adult women and their children (both genders) and the Male Room is for adult men and their children (both genders). Adults must be accompanied by a child. 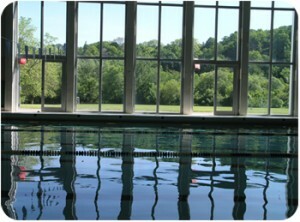 The pool is 25 yards long and six lanes wide and features floor-to-ceiling windows. All swims at the GAC are staffed by certified lifeguards. You are not permitted to use the pool without a lifeguard present on deck. To do so will result in a suspension of membership. Bathing caps are mandatory for all swimmers and are available for sale at Reception. A shower is mandatory before entering the pool. Appropriate swim attire must be worn when using the pool. Cut-off jeans are not permitted. For sanitary reasons, children who are not toilet-trained must wear swim pants. Lengths Swim times are reserved for those members capable of and intending to swim lengths. Kickboards, pull-buoys and hand paddles are available during Lengths Swims. Recreational Swim is an open swim period reserved for swimming with children or practicing swim skills. Family Swim times are reserved for child members and their families. Children (12 years and under) must be directly supervised (in the water within arm’s reach) by a person 13 years or older. Lengths are not permitted during Family Swims. Senior Swim times are reserved exclusively for those holding a GAC Senior membership. If you are not a senior (65 yrs+) please do not attend these swims. Parents are not permitted to leave a child on deck while swimming lengths. Spectators are asked to use the pool-viewing gallery located by the Membership Office. Spectators are not to sit on the pool deck to watch swimmers. This spacious room has a sprung hardwood floor, mirrored walls and a sound system. Group Exercise classes are restricted to participants 13 years and older. Clean athletic footwear with non-marking soles must be worn in the Group Exercise Room. During inclement weather, please help us keep our floors clean by not wearing your outdoor shoes into this room. The Group Exercise Room is equipped with free weights, bands and stability balls – these are located in designated storage areas. As a consideration to others, members are asked to refrain from removing equipment from the Weight Room to use for Group Exercise classes. The gymnasium is full-size. 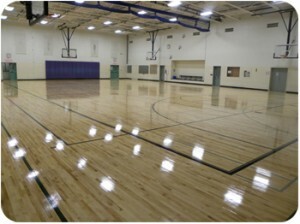 Gym use is self-directed and regulated by participants. Rental contracts take priority over casual users – gym availability can be verified at Reception. Athletic clothing and clean athletic footwear with non-marking soles must be worn. 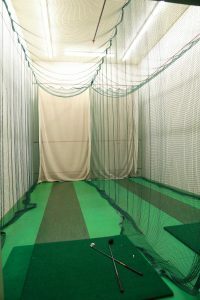 Equipment such as balls and nets are available to sign out at Reception. You must leave your GAC membership card in exchange for any equipment borrowed. 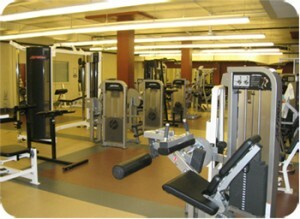 The Weight Room features a large selection of free weights, selectorized machines and cardio equipment. Under no circumstances are children 12 years and younger permitted to be in the Weight Room. We kindly ask for your full cooperation with respect to this rule. Youth between the ages of 13 to 15 may access the room only with a parent or during staff supervised hours. Members who wish to be familiarized with the use of any of the equipment should book an“orientation” session either at the Membership Office or by calling 416-487-6717. There is a maximum time limit of 30 minutes on all cardio equipment. For reserved machines, there is no grace period. If you are not available when your turn comes up, you forfeit your time and the next member will be given priority. Proper athletic clothing and clean athletic footwear must be worn. Open-toed shoes are not permitted. As a consideration to others, members are asked to refrain from removing equipment from the Weight Room to use in the Group Exercise Room or in the Stretching/Conditioning Room. We do not allow bags of any kind in the weight room – please leave them locked in a day-use locker. Personal belongings (i.e. keys, towels) may be left in the storage space located at the Weight Room entrance. All GAC members have access to four International squash courts and three outdoor tennis courts. Courts may be reserved in person at Reception or by calling 416-487-6740 up to three days in advance. 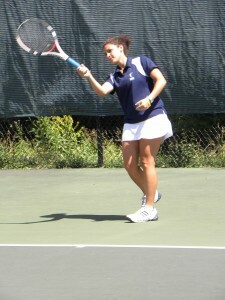 As a courtesy to others, courts should be cancelled a minimum of 3 hours in advance of playing time. Squash courts are booked for 40 minute periods and tennis courts for one hour periods. Protective squash eyewear is strongly recommended for adults and is mandatory for everyone under 18 years of age. Athletic clothing and clean athletic footwear must be worn. Non-marking soles are required on both the squash and tennis courts. Double bookings are not allowed. Members may not reserve a court for more than one booking period at a time. Only one court of the same type may be booked per day. All children 12 years and younger must be supervised by a parent at all times. Tennis courts are kept locked when not in use. The key must be retrieved from and returned to Reception. Squash and tennis balls are available for purchase at Reception. The tennis courts close in conjunction with the building hours. We have four badminton courts. Please refer to the Badminton section for availability. The Glendon Athletic Club offers Group Cycling classes. All GAC members are entitled to one-day advance booking privileges. Bikes may be reserved by calling Reception at 416-487-6740. Guests of members may be booked on the same day basis only. Regular guest fees apply. 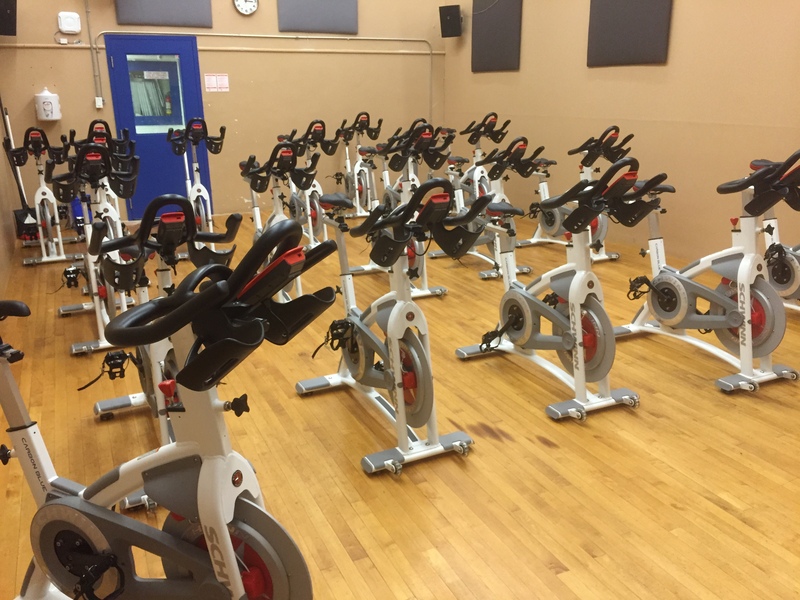 Group Cycling classes are restricted to participants 13 years and older. The boxing studio is equipped with four heavy bags, one speed bag and mirrors. Gloves may be borrowed at Reception but for hygienic reasons, it is advised that you either bring your own gloves or purchase gloves/hand wraps through our boxing instructor. The space will be accessible during building hours (when not in use for instructional programs). 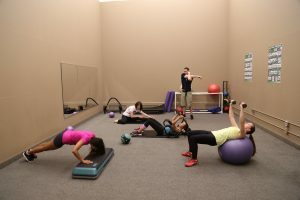 The Stretching/Conditioning Room is a self-contained area equipped with mirrors, mats, stability balls, medicine balls and a Precor stretch machine. It also features music specially programmed for this area. As a consideration to others, members are asked to refrain from bringing equipment from the Weight Room into the Stretching/Conditioning Room. The indoor golf driving range is available for use by members during regular club hours. There are two practice tees which are divided by a mesh curtain. Bring your own clubs and balls.